Tyrone Power and Don Ameche star in this acclaimed film about greed, corruption and politics in late 1800s Chicago. While Jack O'Leary (Ameche) is elected mayor, his brother Dion (Power) chooses a life as a saloon owner, and the two clash bitterly over the city's future. 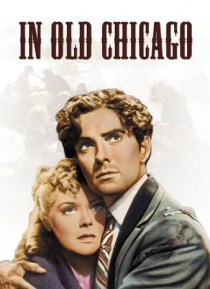 With Dion's wife (Alice Faye) as a pawn in their dispute, their rivalry escalates, until a fire wipes out all of old Chicago.